The question I am asked about Paris the most is its restaurants – which could be a reflection of my image, or of my taste in friends, anyhow too late to change both. I am not home as often as I would like to be, and when I am here, I do my best to enjoy the city, to celebrate that I, even largely theoretically, live here, – and eating out is a big part of it. (There are also periods in my life when cooking at home simply makes no sense, because most of the things I buy over the weekend do not survive until my next culinary attempt.) So I have put together my top favorites in Paris, for you to savour. One of these days, I sent Sophie a work-related email and got her (all-related) auto-reply. “I am OOF enjoying the Greek islands”, it says. Right, the Greek islands. Kythira is the opposite of Mykonos: lavish green instead of sunburnt yellow, solemn and empty instead of busy and packed, rural instead of commercialized. (It is also about one third price of its well-known contender, which is worthy of consideration in the middle of summer). I love Mykonos too, it is just a very different kind of holiday: festive and trendy instead of quiet and authentic. The only common point between the two is the azure waters of the Mediterranean Sea. Mediterranean will always be the best sea in the world for me. And I keep on thinking, all the world known islands on this sea: Mykonos, Sardinia, Santorini and Ibiza, of course, used to be like Kythira some fifty years ago. Pure, savage and empty, open only to the eyes of people who wanted to wander into the unknown looking for beauty. Diakofti beach, the one with the only 4 star hotel on the island, Kythira Golden Resort, is the Côte d’Azur of the island. Is it primarily famous for its white sandy shores, the only beach of this kind on Kythira. The ship, sank according to the hotel owner, by the drunk Russians and now the famous landmark of the island, is a pleasant sight. Diakofti is also known as the best family destination, so we admired it for a moment and kept on driving. Here is a sacred map of the islands’ treasures. I kept it because there is no chance of getting a better one on the island (or maybe even another one). Given to us (as you can see by a subtle product placement) by the same lady at the same hotel, it has all of Kythira’s beaches: the stony and hidden Chalkos, the lively and touristic (if the word touristic is applicable to Kythira at all) Kapsali. There is Firi Ammos (two of them, actually) with its secret lake Kaki Lagada and Kaladi with its 150 stairs. And Avlemonas, with gorgeous and unusually deep waters, surprisingly cold in early June. I would keep the map, too, if I were you: it also has the island’s best restaurants on it. This week’s theme is Transient. Now, “transient” is something I had to look up online even though I often think that I speak better English these days than I do Russian, my mother tongue (a few years back, I had to look up “nimble”, which then made part of our corporate strategy. Speaking of which, corporate strategies in tech are indeed transient but I don’t happen to have a photo of one of them on hands). Now that I know what transient is (which is “not lasting, enduring, or permanent; transitory”), I have immediately thought of a picture to illustrate it. I took this photo of a girl jumping off the cliff in Kythira, a magical island in Greece, a few weeks ago. The girl was contemplating this jump for quite some time, stumbling, looking unsure into the dark blue water at her feet and her family at the shore. And then she jumped – into the dark blue water and into the freedom. I was as unsure that she would do it as she was herself and, for some reason, was moved by the outcome of this short story – and by the fact that I could capture it with my 50 1.2 lens, which is not exactly the number one choice for action photography. Sometimes the world offers us much better shots that we could be dreaming to orchestrate. We should just be there to capture them. MBA: Is It Worth It? Recently, a 6 year old post popped up on my Facebook page. “…is homeless, looking for a job, is not tied to any country, and somehow it all feels positive and full of potential. And smells like an adventure, of course :))”. Good thing these Facebook reminding posts: marking our lives with milestones, highlighting the way we have made so far, connecting our present with our past. So six years ago, I was, indeed, homeless in the traditional sense of the word, with my stuff parked across St Petersburg, Helsinki and Istanbul, looking for a job that would allow me to stay in Europe. I was at my parents’ home in South Korea. Vicky and I have just decided to close the company we were running for four years. I was thinking what’s next. 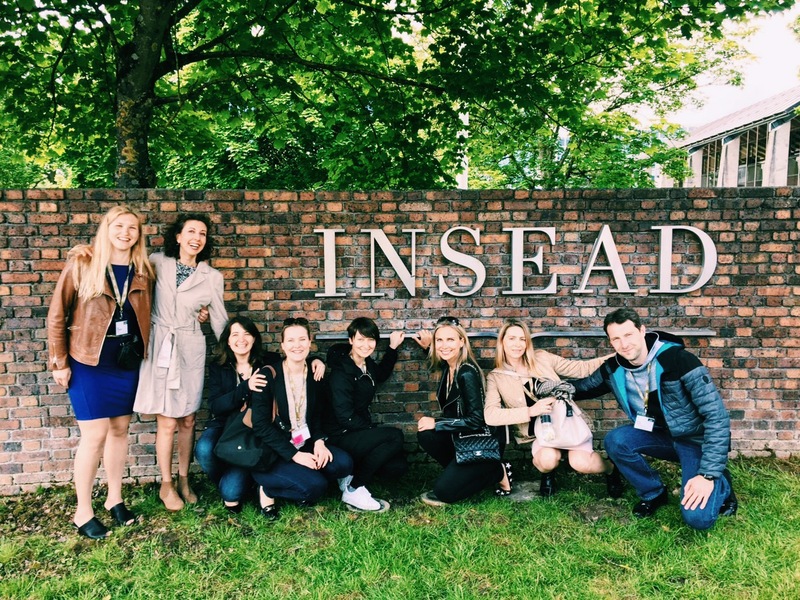 And then I went to INSEAD. That year costed me a bit less than 100,000 EUR: in housing, some books, lots of coffee, tuition fees and (very moderate, for INSEAD standards) travels. Not to mention the infamous opportunity cost, that mythical unpaid annual salary, which you always include in your calculations after MBA studies. In more than a way, it has catapulted me into the life I am living now. So was it worth it?